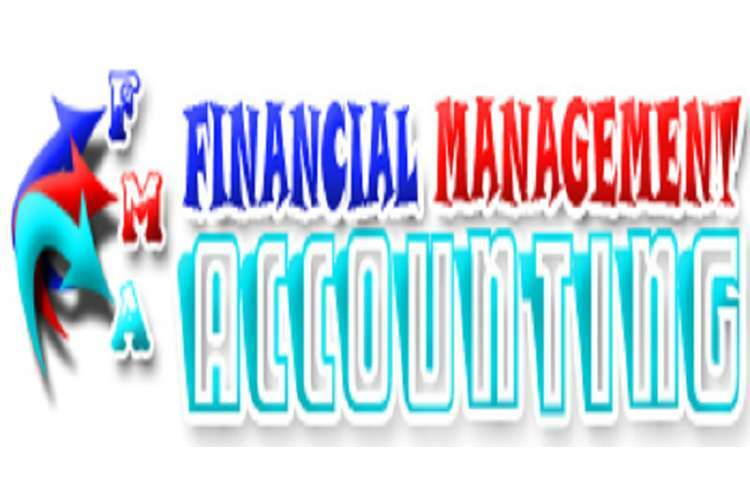 This financial and management accounting assignment solution mainly evaluates the overall financial reporting system that used by Holiday Inn, Australia. Moreover, report also provides evaluation on different issue that is determined by the financial and management reporting requirements. In addition, the different types of groups, which are to be assessed if companies face any reporting issues. Moreover, the novice also effectively prepares a plan, which could be used by the company to meet deadlines and resolve all the reporting issues that might be resurface and hamper the operations of the company. Being one of the biggest international brand Holiday Inn has operations all over the world. The operations of the company ranges from Europe, America, Asia-Pacific, Middle East and Africa. The effective adoption of accurate financial reporting system could helpful in minimising the unethical practises conducted by companies. This establishment of operations in different countries forces the company to use different accounting standards as per the requirement of the country. Due to the changing regulation of different countries the overall accounting standard that is used by multinational companies could be effectively evaluated. Moreover, the changing accounting standards could also act as a main issues, which could reduce the authenticity of the annual financial report. Cook, Raviv & Richardson (2010) cited that with the help of changing standards companies are able to use the unethical measures and inflate their profits. On the other hand, Elias & Farag (2010) criticises that due to the adoption of new acts and rules governments are able to minimise the manipulation of financial reporting and gather high tax revenue. Moreover, the changing regulations could act as one of the major issue that might be faced by multinational hotels in determining the financial and management reporting requirements. Moreover, the multinational companies could face different types of problems in identifying the exact FRS application that could be chosen by the multinational hotel. In addition, using IFRS or GAAP could automatically change the perception of different types of categories that the company could come under. Farmar (2010) mentioned that with the help of identified categories companies are able to determine the nature and size of business that is being conducted. On the other hand, Gao et al. (2012) criticises that due to changing FRS categories companies are not able to determine the actual reporting format. Moreover, the issues of non identification of the accounting method could hamper the publishing of annual financial report. In addition, the main issues that might be faced by the multinational hotel is the approval from FRC. Due to the operations conducted in different countries the actual reporting format could differ. Holiday Inn operations are throughout the World where both GAAP and IFRS accounting methods are followed. This changing accounting standards could eventually get a negative response from FRC due to its complicated accounting measure. Giacalone & Promislo (2013) stated that approval from FRC helps companies to adequately identify the financial reporting requirements, which could be used in disclosing the overall financial report. 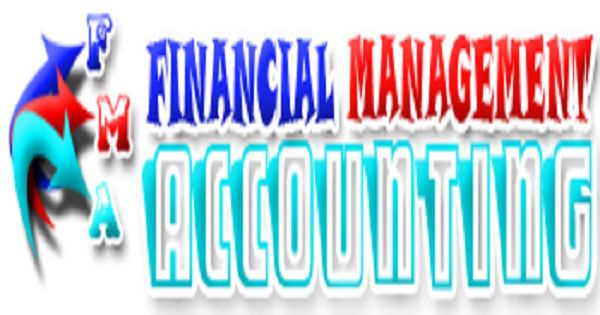 However, Kaplan & Haenlein (2010) argued that non identification of actual accounting method could negatively impact the financial reporting system. Moreover, FRC approval is only needed by the multinational hotel if IFRS accounting system is being followed by the company. The unethical auditing that is conducted by companies could be a major hindrance in identifying the requirements needed to conduct effective financial and management reporting. In addition, the unethical internal and external auditing that is conducted by companies to reduce the overall tax outflow. Moreover, with the help of unethical auditing practices companies are able to attract more investors by inflating their profits and increase their share price. Killian (2010) mentioned that detection of unethical practices is punishable by law and could impose high and penalties for the company and its auditors. On the other hand, Merchant (2010) argued that with the help of identified loopholes auditors are able to manipulate the financial report of companies as per their desires. Moreover, the main requirement for conducting the financial report is the effective ethical auditing that could be conducted by companies. In addition, the use of unethical auditing practices could hamper the and neglect the overall authenticity of the financial report. Furthermore, with the changing FRC rules to prevent unethical practices conducted by companies could also consider as an issue. In addition, a multinational hotel could faces problems in identifying the different laws and legislation that is being changed. This changing legislations also acts an issues in determining the requirements that is needed for financial reporting. Schaltegger & Burritt (2010) mentioned that changing FRC rules help in enforcing ethical practices in the operation of business and in turn increase actual publishing of financial reports. On the other hand, Wilkin & Chenhall (2010) argued due to less monitoring conducted by FRC on companies and auditors, unethical measures are continuously being used to increase personal gain. Moreover, with the help of effective reporting system that is current present, mainly helps in minimising the unethical practises conducted by companies. Woiceshyn (2011) mentioned that ease of reporting method has helped in reducing the overall manipulations conducted by companies. On the other hand, Zott & Amit (2010) criticises that manipulation in financial report are authenticated by external auditors after taking bribe from companies. In addition, identification of any reporting issues could be directly reported to the following regulators. After the detection of reporting issues the is conducted by companies the investors are able to reach Financial Accounting Standards Board. In addition, with the help of FASB, investors are able to determine the level manipulations that is conducted by companies to manipulate their balance sheet. Furthermore, identification of punishment level mainly helps in reducing the overall malpractices conducted by companies. Adler & Liyanarachchi (2011) mentioned that with the help of FASB investors are able to effectively report any unethical practises conducted by companies. On the other hand, Cook, Raviv & Richardson (2010) criticises that due to the confidentiality agreements the internal and external auditors are not able to report any manipulations conducted by companies. In addition, FASB mainly helps in monitoring the financial reports of different companies and in turn evaluates the actuality of their financial statements. With the help of effective Financial Reporting Council investors are able to report any financial reporting issues that might have surfaced. In addition, FRC uses predetermined activities that are used to increase authenticity of the financial report. The FRC mainly uses three activities which helps in monitoring the operations of the company. Analysing the Operating and Financial review, Half-Yearly Financial reports and Preliminary Announcements. Moreover, with the help of continued monitoring of companies financials, FRC is able to determine the authenticity of their financial reporting. Boedker (2010) mentioned that with the help of effective monitoring process converts are more relied on the reports produced by FRC regarding the company performance. On the other hand, Elias & Farag (2010) argued that with all the monitoring and evaluation, frauds conducted by companies are only detected after the declaration of bankruptcy. In addition, with the help of International Financial Reporting Standard investors are able to determine the actual accounting standards, which is used by companies. In addition, if the investors evaluate an irregularity in the financial of the company it could eventually complaint to the IFRS for further evaluation of companies financial report. Farmar (2010) mentioned that defined rules and regulations mainly helps in reducing the manipulations conducted by the company. However, Gao et al. (2012) argued that due to the unsurfaced details about the manipulation that is being conducted by the company, the rules that is laid out by the IFRS loses its friction. However, implication of different type of rules and regulation in the business is helpful in attracting more investor for the business. Moreover, with the help of Association of Chartered Certified Accountants investors are able to report the unethical practise that is conducted by the auditors in evaluating the financial report of a company. Furthermore, ACCA also helps in regulating the internal and external auditors, which evaluate the overall financial report of the company. Giacalone & Promislo (2013) mentioned that with strict regulations conducted by ACCA helps in reducing the manipulations conducted by external auditors. On the other hand, Kaplan & Haenlein (2010) criticises that due to reduced monitoring conducted by regularities, the manipulation conducted by external auditors are eventually increased. With the help of effective groups and regulators the investors are able to rely on the financial statements prepared by companies. In addition, with the help of effective regulatories bodies reduction in unethical practises conducted by companies could be reduced. Killian (2010) stated that with the help of published financial from the regulatory, investors are able to rely on the authenticity of the data provided by the company. On the contrary, Merchant (2010) argued that due to unidentified manipulations conducted by companies the investors are cheated from their investments. In addition, with the help of effective plans companies are able to minimise the negative effects of the issues related to financial reporting. Brinckmann, Grichnik & Kapsa (2010) mentioned that companies with the help of effective plans are able to nullify the limitations of different types of issues. On the other hand, Davidsson & Gordon (2012) criticises that due to the continuous changing accounting standards the overall issues that might be faced by new companies are actually on the rise. The overall reporting issues that might be faced by the company and the plan to overcome these issues are as follows. The reporting issues that might be faced by multinational hotels are the identification of the accounting standards that might be used in their financial report. In addition, without the identification of the accounting standard that could be used the financial report it will have no authentical value. Kwong, Thompson & Cheung (2012) mentioned that without the identification of accounting standard the company will not be able to determine the methods and valuation that could be used in the financial report. On the other hand, Schaltegger & Burritt (2010) argued that some times to manipulate the financials companies change their accounting standard and manipulates the data as per theirs will. With the help of effective regulators like International Financial Reporting Standard (IFRS), Financial Reporting Council (FRC) and Financial Accounting Standards Board (FASB) companies are able to determine the actual financial accounting standard that could be used in reporting the financial statement. Moreover, the multinational hotel could effectively contact the above mentioned regulatory bodies to identify the accounting system, which could be used by the company in making the consolidated balance sheet. Wilkin & Chenhall (2010) mentioned that regulatory bodies help companies to identify the specific accounting standard, which could be used by companies to publish their financial report. On the contrary, Zott & Amit (2010) argued that multinational companies could manipulate the accounting standard, which could help in building high valuation for their company. After effective research for 1 week the overall accounting standard could be identified for the company. The second issue that might be faced by the multinational companies is the identification of its specified categories in which different accounting method could be used. Moreover, without the identification of the specified category in which the business comes under the financial reporting could lose friction. Zott & Amit (2010) cited that the specified scale of business that is conducted by the company could help delivering the right rules, which could be used in preparing the financial report. However, Cook, Raviv & Richardson (2010) argued that some of the companies use manipulation to reduce the taxation conducted by the government. In addition, with the help of effective regulators like Financial Reporting Council (FRC) and Financial Accounting Standards Board (FASB) companies could effectively determine the specific categories in which its operations fall. Moreover, continues connection with the advisors of the regulatory body could help the company in identifying in the category in which business its business falls. Elias & Farag (2010) mentioned that with the help of effective category identification companies are able to determine the specified accounts that could be maintained throughout the fiscal year. On the other hand Gao et al. (2012) argued that due to the changing rules of FRC companies needs to be updated to identify their specific category. After effective research for 2 weeks the overall category could be identified for the company. The changing rules of FRC is a major problems which could reduce the friction of the financial reporting conducted by companies. However, continuous monitoring of changing rules and regulations could help in effectively conducting the financial reporting. Giacalone & Promislo (2013) mentioned that FRC continuously changes the rules to reduce the loopholes in regulations that could be used by companies to manipulate their balance sheet. On the contrary, Kaplan & Haenlein (2010) argued that excess changing rules could provide a window of opportunity that could be used by companies to manipulate their financial report. After effective research conducted for 1 week the overall changed rules could be identified for the company. In addition, after the identification proper changes could be conducted to the accounting measures used by the company. Contacting IFRS, FRC and FASB regarding the use of adequate accounting standard that could be used by the multinational hotel. Contacting advisors of FRC and FASB regarding identification of the category in which the operations of multinational hotel are considered. Researching the announcements of FRC and identifying the impact of changed rules on the accounting method adopted by the multinational hotel. The report mainly helps in evaluating the different types of financial reporting that could be conducted by multinational companies.In addition, the report also evaluates the issues that might be faced by multinational companies in conducting their financial and management reporting requirements. Moreover, identification of groups and regulatory bodies, which are responsible in monitoring the reporting issues conducted by companies. Lastly, with the help of an effective plan, companies could to meet deadlines and resolve all the reporting issues that might be resurface during preparations of financial report. Adler, R., & Liyanarachchi, G. (2011). An empirical examination of the editorial review processes of accounting journals. Accounting & Finance,51(4), 837-867. Boedker, C., (2010). Ostensive versus performative approaches for theorising accounting-strategy research. Accounting, Auditing & Accountability Journal,23(5), pp.595-625. Brinckmann, J., Grichnik, D. & Kapsa, D., (2010). Should entrepreneurs plan or just storm the castle? A meta-analysis on contextual factors impacting the business planning–performance relationship in small firms, Journal of Business Venturing, 25(1), pp.24-40. Cook, W. D., Raviv, T. A. L., & Richardson, A. J. (2010). Aggregating Incomplete Lists of Journal Rankings: An Application to Academic Accounting Journals*. Accounting perspectives, 9(3), 217-235. Davidsson, P. & Gordon, S.R., (2012). Panel studies of new venture creation: a methods-focused review and suggestions for future research, Small Business Economic, 39(4), pp.853-876. Elias, R.Z. & Farag, M., (2010). The relationship between accounting students' love of money and their ethical perception. Managerial Auditing Journal, 25(3), pp.269-281. Farmar-Bowers, Q., (2010). Understanding the strategic decisions women make in farming families. Journal of Rural Studies, 26(2), pp.141-151. Gao, J., Zhang, C., Wang, K. & Ba, S., (2012). Understanding online purchase decision making: The effects of unconscious thought, information quality, and information quantity. Decision Support Systems, 53(4), pp.772-781.